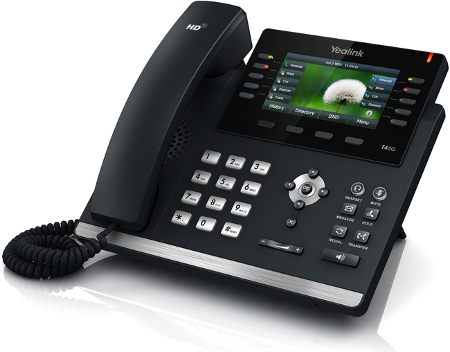 In this post, we'll be reviewing one of the most popular desk phones available on our store - the Yealink T46G. We'll be looking at the main features available with the device, its design, setup process and reliability, with some final thoughts at the end. 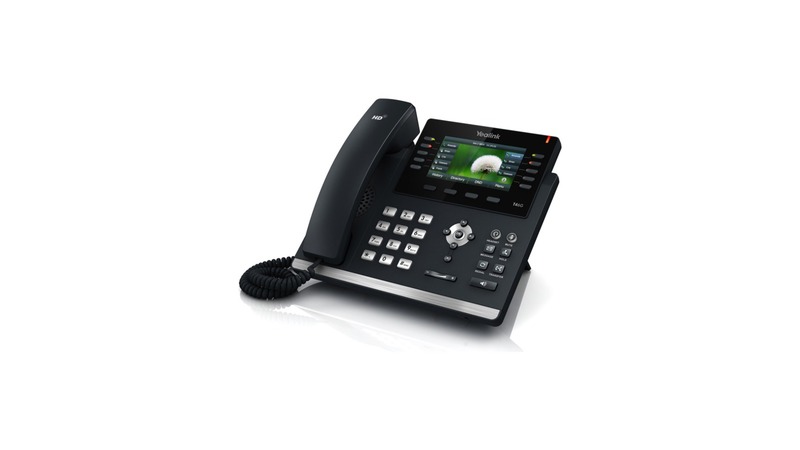 The T46G is a large, but elegantly designed desk phone with a very clear and bright colour screen. The keypad and function buttons are all as you'd expect from any phone, with quick shortcuts for volume, voicemail, mute, speaker phone and various others all readily available at the touch of a button. Along with the excellent screen, the T46G offers another big advantage over other, similarly designed phones in the T4 series - 10 programmable feature buttons, with 5 placed on each side of the screen. You can even use the 10th button as a "page" navigator, effectively providing 27 (3 sets of 9) functions in total, which is extremely useful if you're in a busy office with a number of connected extensions you would like to monitor using BLFs, or, if you want to add lots of regularly called contacts to speed dial. Setting up the phone to make and receive calls is very fast and simple, thanks to Yealink's auto-provisioning capability. Just add the extension and device MAC address in Dial 9, then the provisioning URL in the phone, and the rest will be taken care of automatically. We also offer to take care of that part of the process for customers ourselves when they purchase the phone from our store. Additionally, extra features such as the BLF (busy lamp field) keys for monitoring other extensions' availability can be set up via auto-provisioning as well, all from within Dial 9. As such, we like to recommend Yealink devices in general, because their excellent provisioning capability allows us to offer a complete plug-and-play experience to customers who both use our service, and purchase hardware directly through us. Several of us here at Dial 9 have been using this particular phone for a couple of years or more and generally have found it to be excellent for day-to-day use, with response times on the interface quick and call quality very solid. However, as part of our ongoing development process we always endeavour to run the latest firmware on the phones and we've at times found some minor issues, in particular with BLF responsiveness and functionality, but this is usually resolved by rolling back to an older firmware version, then of course a subsequent version released by Yealink fixes it a well. As regular users of this particular device, we can certainly recommend it to power users, but with the more expensive and features that probably aren't necessary for smaller offices with just a handful of extensions, a cheaper option with a similar design, such as the T40P will very likely be more than sufficient. You can find more information about the T46G in our store, otherwise just drop us an email with any other questions.